FILE PHOTO A pilot model of an Uber self-driving car travels in Pittsburgh, Pennsylvania. 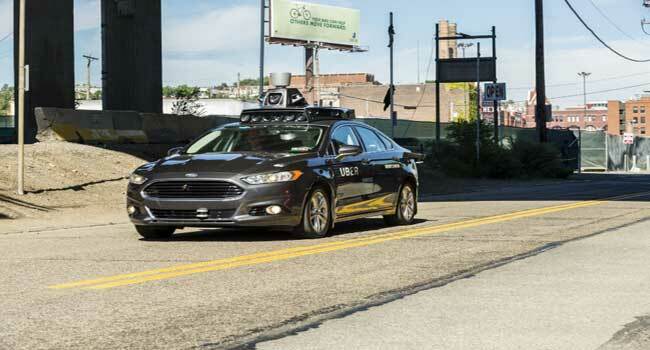 Uber said on March 19, 2018, it is cooperating with police following a deadly accident involving one of the ride-share company’s self-driving cars in Arizona. Egypt’s administrative court issued a ruling on Tuesday stopping the operations of ride sharing apps Uber and Careem, state media reported. Both services had sparked protests by taxi drivers who complained that the drivers did not need to pay the hefty fees to operate transportation vehicles. The court accepted a petition by a lawyer demanding the government stop licensing Uber and Careem activities in Egypt, including their online applications, state-owned newspaper al-Ahram reported on its website. The lawyer representing taxi drivers, Khaled al-Gamal, told AFP that the ruling would have to be implemented by the government even if Careem and Uber appeal. “They have to stop operations and block their mobile applications on the internet,” he told AFP. Uber and Careem representatives could not be reached immediately for comment. Many Egyptians who complain about taxi services, including drivers who refuse to turn on their meters or their air conditioning during the hot summer, had switched to the ride-sharing apps. Careem, a start-up headquartered in the United Arab Emirates, operates in the Middle East and Asia.